UNITED INVENTORS ASSOCIATION OF AMERICA SELECTS BRIAN FRIED AS EXECUTIVE DIRECTOR. Organization aimed to benefit the invention community selects innovative thought leader for the executive director position. <Long Island, N.Y.> -- The United Inventors Association of America (UIA) board of directors decided to appoint the position of executive director to invention expert and thought leader, Brian Fried. Fried will serve as the public figurehead for the UIA as well as sit on the executive committee. The executive director is also responsible for acting as the liaison with Inventor Clubs cross-nationally and promoting their involvement with UIA-related events. Brian Fried joins a collection of dynamic and dedicated members of the board. 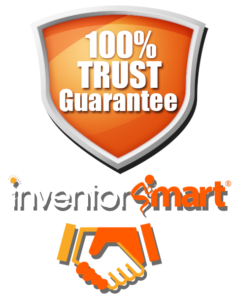 The United Inventors Association of the United States of America is a 501c3 non-profit educational organization dedicated to providing resources to the inventing community while encouraging honest and ethical business practices among industry service providers. Fried’s expertise comes with over 15 years of experience as a mentor to inventors, including celebrities. He is the author of Inventing Secrets Revealed and You & Your Big Ideas. A thought-leader of the industry, Fried has been featured with products on As Seen On TV, home shopping channels, catalogs and online retailers through licensing and manufacturing. 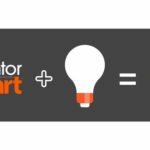 With his consultancy Inventor Smart, Fried aids clients through constructive feedback, product development and more to help them bring their ideas to market. The founder and president of the Long Island Entrepreneurs Club’s most recent appearance includes this year’s Invention-Con hosted by the U.S. Patent and Trademark Office. For more information on the United Inventors Association of America visit the website at www.uiausa.org. For questions regarding Brian Fried and Inventor Smart, please contact jess@morethanpress.com or visit www.brianfried.com and www.inventorsmart.com. READ RELATED ARTICLES Brian Fried Joins Shark Tank’s Daymond John on Stage at the Long Island Entrepreneurship Conference 2018.